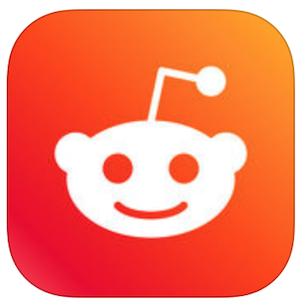 The official Reddit app for iOS has today received a massive upgrade, bringing tons of new features like live comment feeds, in-app chat, tools for moderators and much more. As pointed out by TechCrunch, the new features primarily focus on media consumption, including how the photos, videos and GIFs are handled, although some of them are clearly inspired by third party Reddit clients. The app’s new Theater Mode option allows users to browse media in a “video-first” format, which offers viewing in full screen, as well as the ability to view the content in landscape mode and swipe back and forth between media. The feature was one of the highlights of the well-received Canadian-made third party Reddit app, Apollo. Similarly, the ability to open links in Safari instead of using Reddit’s native in-app browser is another feature already found in Apollo. In addition, Reddit’s updated iOS app now supports live comments, turning Reddit into a more real-time experience. It is also the first official Reddit app to get the chat feature. Users and moderators can now add “post flair” on both iOS and Android – a tool to distinguish different types of content. A new comment speed read button on Android lets users jump between the top-level comments in a discussion. Another change ensures that the original poster (OP)’s username is always visible, even from the Home feed. Another group of features launching today are designed for Reddit’s moderators. 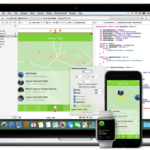 This includes the ability to switch on “Mod mode” to approve, remove, and flag content from iOS and Android – or even bulk approve, remove, or flag items, for those in charge of larger communities. Oother moderator tasks, like banning, muting and reporting, have also been simplified in the updated iOS app. To learn more and download it for free, hit up the following App Store link.